You wanted it...you've got it!! Finally, a practical money machine. 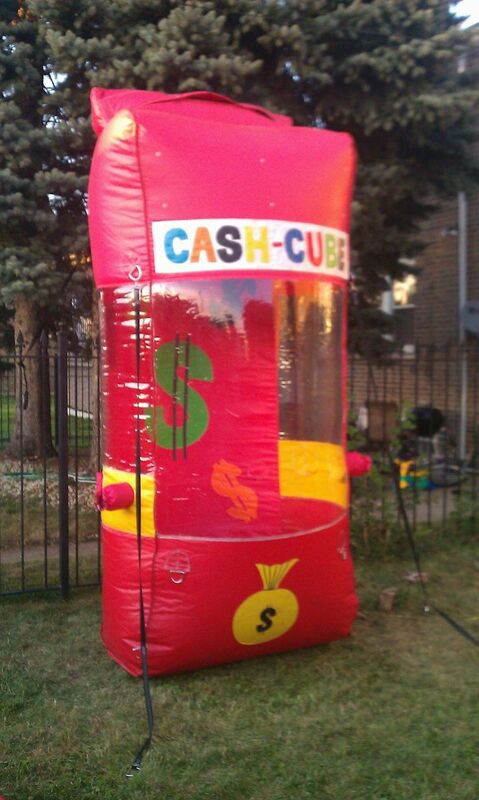 Our inflatable cash cube is great for many types of events. Blows money, or coupons (that you provide) around...The participant places their hands only inside and tries to catch the flying paper. This unit requires 5ft x 5ft x 10ft in actual space, power within 50ft of a dedicated electrical outlet free of glass, rocks, sharp objects, dog bombs, tree limbs/branches, gutters, etc.